Lake Champlain sits between Vermont and New York State and is loaded with Islands. When somebody says the Champlain Islands they usually mean four of Vermont's islands, La Motte, North Hero, Grand, and South Hero. Because you can drive on them via bridges they attract the tourists. On South Hero one of the popular beaches is Whites Beach and across the road are birdhouses, bright colorful birdhouses, hundreds of them. The whimsical birdhouses, which essentially form a vibrant neighborhood of homes for tree swallows, actually have a practical purpose. The marshland is prime breeding ground for mosquitoes, which just so happen to be a tasty part of a tree swallow’s meal plan. 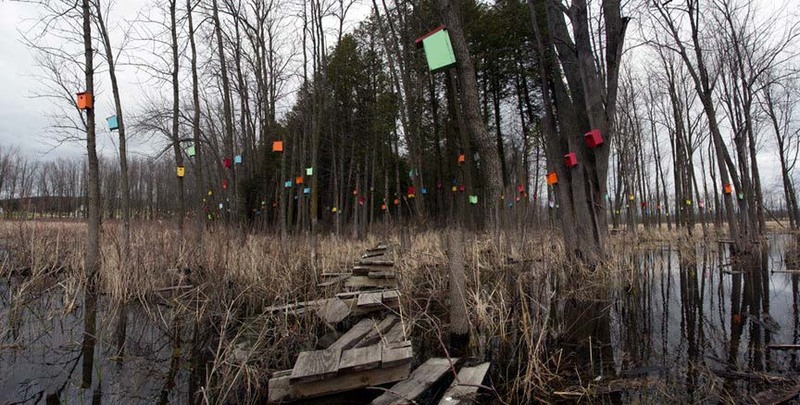 The owner of the land originally put up a couple dozen birdhouses within his property along White’s Beach in Vermont. But after he realized each one was full, he continued adding more and more, hoping the birds would keep the bloodsucking bugs at bay. 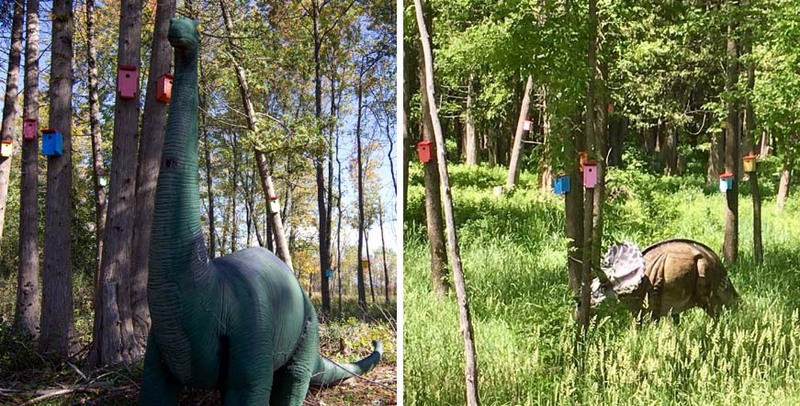 that have made their homes in the birdhouses, the swamp seems to have far fewer pesky mosquitoes than it otherwise would have. However, although this is posted as private property obnoxious tourists can be lured by colorful and/or shiny objects. So the landowner has had to employ animals to eat trespassers.